A must have for a close comfortable shave. Gently exfoliates the skin and creates a rich, soothing later. Densely filled brush head - An excellent value at this price. Effectively increase the bubble of shaving cream, let more comfortable shave. Ideal for shaving or dusting. Diameter of Handle bottom: approx.27mm/1.06". 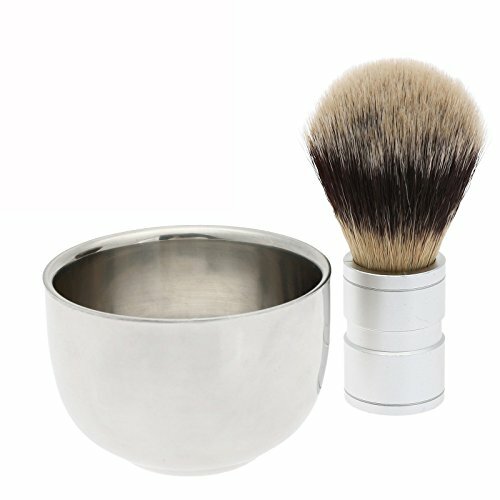 Keep your shaving soap fresh in this handsome shave bowl. Suitable for traditional of shaver. Perfect for the man who appreciates the finer things in life. A great item to add to your shaving items, especially for those of us who are accustomed to the traditional form of shaving.